Globally, the ICD-10 Classification System improves documentation of the increasing complexity of healthcare, specifically demonstrating the clinical presentation of each patient. Currently, medical diagnoses are used to collect data and outcomes to specifically reflect the condition that is being treated. In skilled nursing facilities, medical diagnoses currently have no effect on reimbursement, however, an inadequate medical diagnosis can result in triggering an ADR or denial claim. With less than ten months till PDPM, it is essential to have a clear understanding of how ICD-10 impacts reimbursement and the necessary changes to workflow and related documentation to assure appropriate capture. 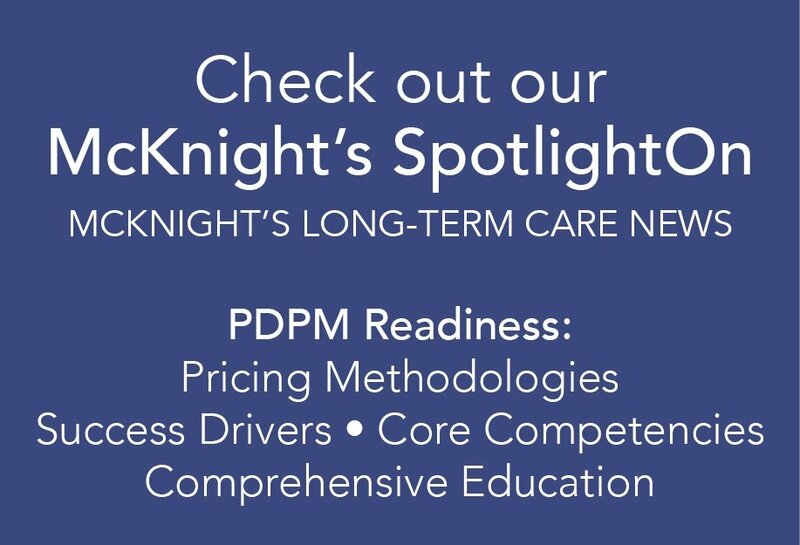 Beginning October 1, 2019, PDPM introduces the concept of diagnosis as a determinant of reimbursement in skilled nursing. Specifically, the primary reason for the patient’s stay will be chosen from the optimal ICD-10 diagnosis code. PDPM scores will be based on patients’ clinical acuity derived from grouping classifications. These classifications are determined from each medical diagnosis captured with the ICD-10 classification system. Six separate payment categories will cumulatively determine reimbursement. Diagnoses will impact five of the six case- mix payment categories. Who currently completes ICD-10 coding in your facility? Is the current process adequate for PDPM and if not, how should it change? Does your team understand the impact ICD-10 coding has in the upcoming PDPM model? Do you know how your EMR plans to prepare for PDPM? How involved is your physician in assessing and diagnosing all medical diagnoses of your admitted residents? What information do you receive from your hospitals today, and will it be sufficient to support processes and decisions under PDPM? Does your documentation today support current diagnosis coding? What is your process today for coding I0020 under the updated MDS (10.1.18) which will translate to I8000A tomorrow? Should you consider outsourcing diagnostic coding? What practice will you implement in your facility to ensure accurate coding is completed for all diagnoses?